As September settles in you can feel fall in the air and the magical display of colors starts to spread every so slightly across the rolling hills and valleys that make up the Finger Lakes Region. The first crushing of the grapes can start as early as mid-August and depending on weather and fruit quality can continue into November and even December and January for the prized ice wines. But, fall is one of the most exciting times of the year to visit the region’s many wineries and you will see first hand the grapes being harvested and gain a true appreciation for what a labor of love grape growing and wine making really is. As you travel throughout wine country and see pickers in the vineyards, crushers turning whole fruit into juice, and barrels waiting to be filled you will understand that these wineries are not just tourism attractions, they are working farms, that take a lot of effort! 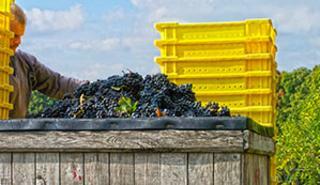 Many wineries let visitors see at least some of the action and also plan special events to celebrate the harvest. Treleaven by King Ferry Winery hosts their Harvest Festival October 7 & 8, 2017 complete with grape stompings, pumpkin painting contests, wine and craft beer, lawn games and live entertainment. Local food trucks provide a variety of tasty options to pair with your beverage of choice. CJS Vineyards holds a late fall celebration with their Chambourcin, Chocolate & Cheese weekend, November 11-12, 2017. 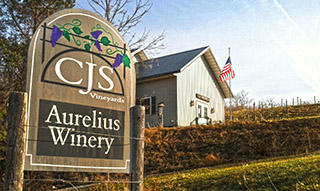 Taste their unique and very delicious Chambourcin wine with a variety of chocolates and NYS cheeses. The flavor of the wine just blossoms with these sweet and savory pairings. Colloca Estate Winery is offering up a wine and culinary experience with the Lake Ontario Food and Wine Festival on October 14, 2017 from noon - 10PM. 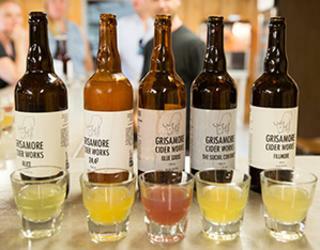 Fall is also harvest time for apples in the Finger Lakes, making it the perfect time to sample the craft ciders made by hand with local apples at our small, boutique cideries, Grisamore Farm Cider Works and Sterling Cidery. Their ciders can be hard or sweet, mild or tart, but they are all made purely with apples and other fresh local ingredients. Sweet Cider is also available for the kids (and adults too!) at most of the apple u-picks scattered throughout the county and is a favorite refreshing fall beverage not to be missed. 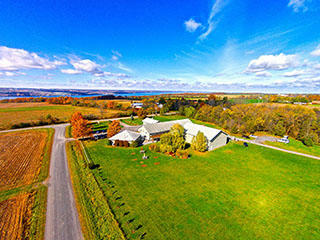 Harvest time in the Finger Lakes, a great time to visit! *Photos Courtesy of Colloca Winery and Kyle Meddaugh of onePhoto, Treleaven Winery and Michelle Kokot, and CJS Vineyards.